Aspen is a gorgeous town. Expensive but fantastic to visit. There's plenty to see and do in town and in the surrounding mountains at any time of year. Photo taken while snowmobiling in Aspen. Great town for outdoor activities! The A-list ski town has no shortage of plush hotels primed for romance—such as The Little Nell or the St. Regis—or sips to get you there: the Rocky Mountain state’s legendary craft beer scene helped rank this tony mountain town at the top of the survey for its local brews (such as Aspen Brewing’s pale ale called This Season’s Blonde). For a romantic dinner you can’t beat Cloud Nine Alpine Bistro, with big views—from 10,700 feet—of the Maroon Bells and European-style classics such as fondue and veal schnitzel. Readers also applauded Aspen for its variety of events, from the X Games to the high-minded Aspen Ideas Festival. This just happens to be one of my favorite cities - and not just because I was born here. Aspen is beautiful any time of year. Some of my favorite memories are in the spring up in the mountains surrounded by wild flowers. Nothing gets better than being in a field when a sun shower surprises you and there's nothing but beauty around you. I could go on for hours, but I won't. Aspen is a gorgeous mountain town, known for it's multi-million dollar homes, upscale restaurants and shops, and world class skiing. But it's a lot more than that. It's got fantastic hiking; music, food, and film festivals; the Aspen Institute, which offers seminars and conferences on critical issues; Anderson Ranch, a phenomenal space for artists (budding and established) to take workshops.... All told, it's a thriving cultural and outdoor hub, which is alive with activity year round. Summer, Winter, Fall colors - each season is grand. I enjoyed the shoulder seasons the most with less crowds and lower hotel rates. The festivals they have are worth a goods look. Wine and Food was amazing. One of my favorite cities in the states. Great food, and beautiful in both the winter and summer. Endless things to do, but obviously the place for skiing and hiking. Seeing celebrities on the street is always a plus. Seldom does a place live up to the hype about it, but Aspen did, and it exceeded my imagination. Yes, it's an over-priced village and playground for the rich and famous, but who wouldn't want to play here? The surrounding towns have much more reasonable accomodations, but everyone should wake up in Aspen at least once in their life! Beautiful scenery, skiing right outside your door, cozy bookstores, great thrift stores and excellent food! 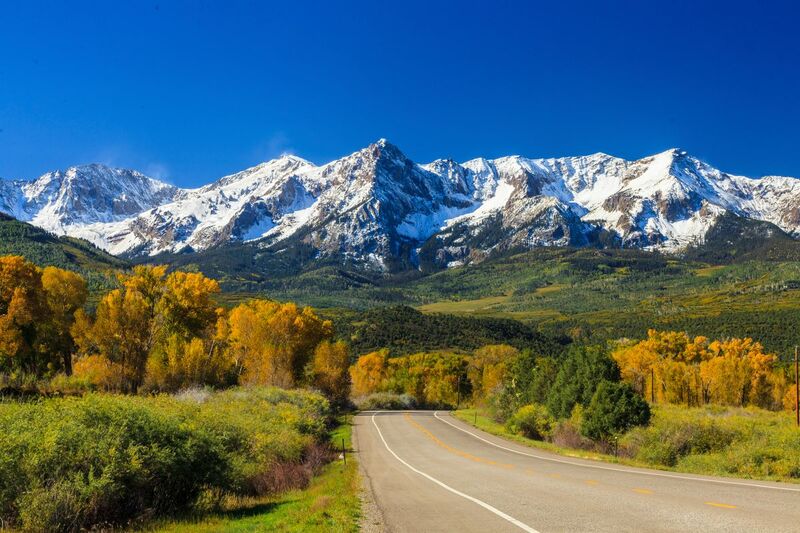 Aspen in October is the perfect place for the ideal time of year. Trees were in their full color show with golds, oranges and reds against the brilliant blue Colorado sky. Spectacular!